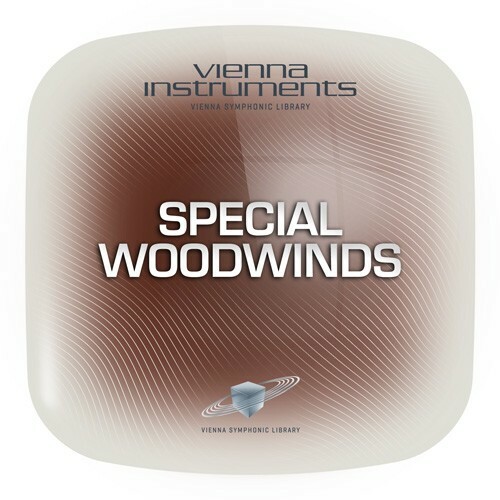 This Vienna Instruments Collection is a cornucopia of exotic treasures for symphonic and orchestral works. The sheer rarity of these instruments makes this collection a priceless addition to your existing palette of woodwind instruments. A special gem is the Bass flute. With its velvety, earthy sound, it expands the flute family to its lowest register, evoking mystery and depth in dramatic music. The Oboe d’Amore is the most lyrical and eloquent member to the oboe family and was performed by our experienced oboist Markus Deuter, who was also responsible for the French Oboe. The Heckelphone with its dark, expressive character rounds out the oboes’ tenor register. This Collection features two additions to the clarinet family as well, including the warm, full-sounding Basset horn that covers the alto/tenor registers, and the powerful, sonorous Contrabass clarinet.